Whether you are a hunter or a competitive shooter, getting a quality rifle scope is one of the top priorities. While the original sights of most weapons in circulation would work adequately, you need to secure a good scope if you truly want to achieve a consistent level of accuracy. In the case you own some firearms that are chambered in .17 Hornady Magnum Rimfire (HMR), the Sweet 17 scope series of BSA would be excellent choices. Among the scope manufacturers on the market nowadays, BSA is well known for its series of specifically calibrated products and Sweet 17 is a solid example. That being said, it’s not like you grab a BSA Sweet 17 scope without assessing its specifications and features beforehand. The last thing that shooters want to experience is to waste a lot of money on less than ideal accessories. 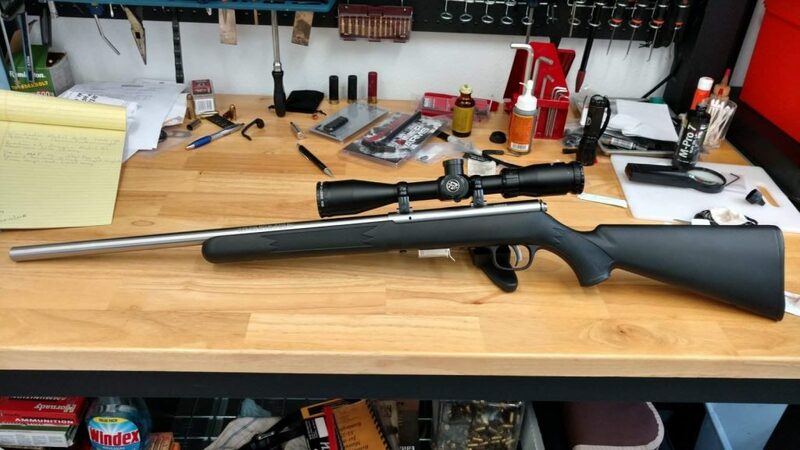 So if you wish to gather additional details regarding the characteristics and performance of the BSA Sweet 17 scope series, you come to the right place. This article contains virtually everything you need to about the Sweet 17 line of scopes from the magnification to the reticle. Take a look at the provided information and see if getting on a Sweet 17 is a sound investment or not. As you may already figure out from its name, the BSA Sweet 17 scope series is designed for .17 HMR chambered rifles. From varmint hunting to target shooting, models in the Sweet 17 category are capable of matching the demands of various applications. Built to match the ballistic and velocity of .17 HMR, the BSA scope series allow the average shooters to optimize their experience with the Hornady round. Thanks to the tough construction, Sweet 17 scopes could be mounted on rifles that use centerfire ammunition if you want to. Aside from Sweet 17, BSA also releases another line of product for rimfire rifles chambered in .22 Long Rifle (LR) and that is the Sweet 22 scope series. Although .17 HMR is one of the stronger rimfire rounds, its effective range rarely exceeds 300 yards for most of the time. As a result, scopes for rimfire scopes tend to have low-to-medium magnification settings compared to their centerfire counterparts. Models in the BSA Sweet 17 scope series provide shooters with 2 options when it comes to magnification power: 3 – 12x and 6 – 18x. If you frequently shoot at distances between 50 and 150 yards, 3 – 12x models would serve you well. On the other hand, if most of your shooting take place at 150 – 300 yards you should consider using the 6 – 18x model. Overall, the choice of magnification power varies from case to case so you have to think about your own situation to make a wise decision. There is no need to go after the highest magnification setting if you don’t regularly shoot at extended ranges. All scope in the BSA Sweet 17 line of products shares the same lens diameter: 40 millimeters. In most of the case, the lenses of these BSA rifle scopes are capable of gathering light effectively and efficiently. Therefore, Sweet 17 scopes are good at keeping the target images bright and clear from dawn to dusk with relative ease. To hunters that have to acquire and track targets in low light conditions, bringing along a BSA Sweet 17 rifle scope would be a good idea. The use of quality glass also guarantees a long lifetime for the BSA objective lens. Given the fact that the BSA Sweet 17 rifle scopes are made for rimfire rifles, the brand keeps them as light as possible to preserve balance. In case you don’t know, cumbersome scopes would have negative effects on the balance of ordinary rimfire rifles as well as your shooting stability. That is why weight is among the most important factor that you must consider while shopping for a rimfire scope. In this manner, all models in the BSA Sweet 17 series pass with flying color: the heaviest one only weighs around 20 ounces which is pretty manageable. Moreover, if you go on a hunting trip with a Sweet 17 model, you don’t have to worry about the scope weighting the rifle down. Generally speaking, you are supposed to take good care of your rifle scope and keep it out of harm way. Nonetheless, for hunters that must deal with harsh weathers and rough terrains, it’s essential to use a tough scope. As all BSA Sweet 17 scopes are waterproof and fogproof, they should be to function in challenging environments without much difficulty. In addition to that, the BSA models are shock resistant so they could retain your elevation and windage setting after being subjected to sudden impacts. While the recoil produced by .17 HMR is not exactly comparable to centerfire rounds, you should not underestimate the knockback force. So unless you want to end up with a scope eye, you need to pay attention to the eye relief. The eye relief of most models in the BSA Sweet 17 series is 4 inches, quite generous for most of the time. One Sweet 17 scope only possesses an eye relief of 3 inches though so make sure that you get the right product. Considering their prices and operations, scopes in the BSA Sweet 17 series are quality accessories for shooters that own rimfire rifles. Simple to mount and easy to operate, these BSA scopes suit the tastes of shooters in need of something tough. Although the Sweet 17 scopes could use a couple of improvements here and there, they nonetheless prove effective in the hand of shooters with average skills. 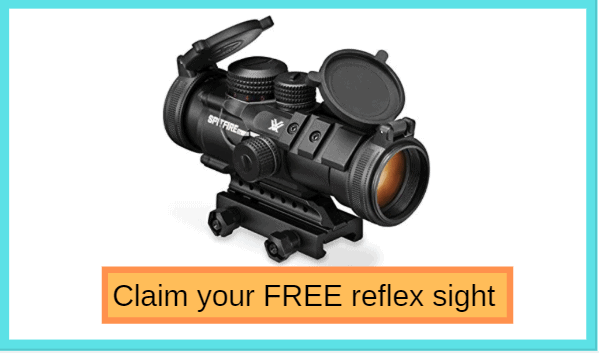 Want a good scope for your .17 HMR rifle? Then you should take a look at the BSA Sweet 17 scope series.